Carmen Salazar in Martha Stewart Weddings!!! We're in Martha Stewart Weddings…WHAT?!?! To say I was thrilled to see one of my wedding images in Martha Stewart Weddings would be an understatement!!!! 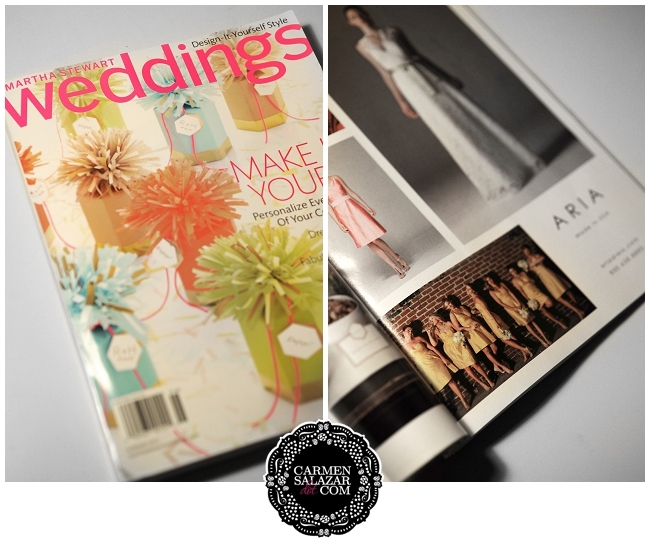 We were so excited that Aria featured a bridesmaid image from Gabe and Katie’s fabulous Firehouse wedding last fall. If you happen to have the current Summer issue pay a visit to page 193!